Beautiful top floor Baldwin Park condo. 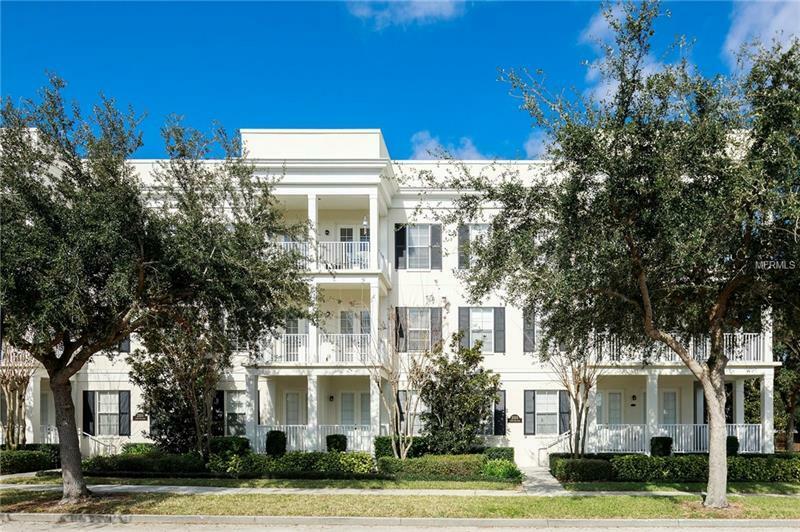 Exceptional location overlooking 75-acre Blue Jacket Park with panoramic views from Lake Baldwin to Downtown Orlando. Upgrades for this spacious 3-bedroom 2-bathroom condo include wood floors, granite counter tops and stainless steel appliances. Southern exposure provides plenty of natural light all year round. All located within a well-maintained elevator building that includes private oversized 1 car garage. Convenient guest parking and a super easy walk to Glenridge Middle School, Lake Baldwin jogging/bicycle trail, Village Center restaurants and shops. 5 minutes to Audubon Park Garden District and 15 minutes to Mills /50 District and downtown Orlando.